The KLG Rutland range of roofline products will improve the look of your home dramatically and you can simply fit and forget because once installed, they will be virtually maintenance-free. All our roofline products are made from high-impact UPVc which will create a durable, weather-proof finish that is guaranteed to perform for ten years. There are many benefits to choosing UPVc, in addition to the ability to withstand extreme weather conditions, they are also easier to clean and will always look good after the test of time. Unlike traditional wood UPVc does not peel, crack or warp and, once fitted, will instantly improve the look of your home. All our products are available in a choice of finishes; white, mahogany, golden oak and black. KLG Rutland roofline products are BBA approved, manufactured in accordance with British Standards and conform to all relevant environmental legislation. Fascias and soffits are often made with traditional wood, they are usually high up and behind guttering and are very difficult to maintain. Modern UPVc materials from KLG Rutland mean you can now have an almost maintenance-free solution. It is widely recognised that the maintenance burden associated with timber panels on a roofline, is no longer acceptable when compared with modern UPVc materials which will not rot, warp, bend or discolour. By replacing your decaying wood with UPVc, you will virtually be able to fit and forget them. The effect on the appearance of your home will be instant as smart new fascias and soffits replace your existing rotting timbers and peeled paint. Add the ideal finishing touches to your home today! No more rust, no more leaks – a genuine improvement to any home. KLG Rutland offer real choices when it comes to draining your rainwater and can offer you the very best in a comprehensive range of guttering products. We produce a range of stylish high density UPVc guttering and downpipes. Our range of traditional designs can provide a perfect match to existing systems or can look equally good on new homes. 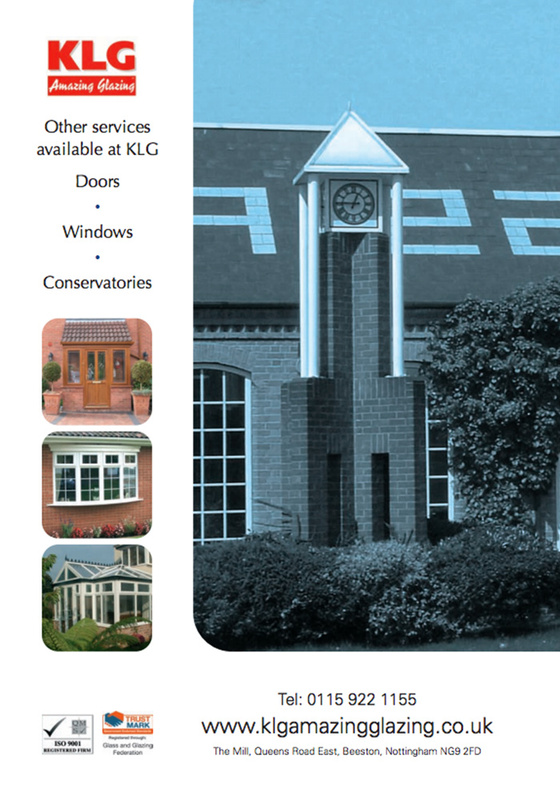 Our .PDF brochures include a great overview of our product range. Enter your email below to receive a downloadable version, or come into one of our showrooms today and get a free printed copy.